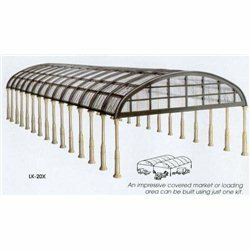 "Manyways'' Overall Roof Kit. 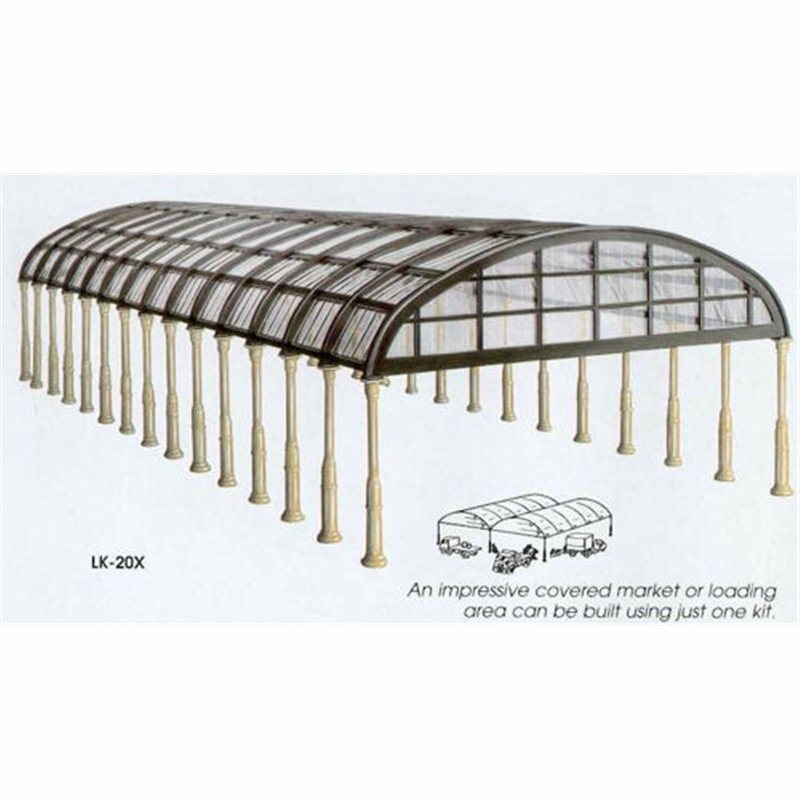 A superb kit of fully detailed pre-coloured and clear moulded plastic components to form an arched type glazed overall roof. As the name ''Manyways'' suggests, this kit can be assembled in many different ways. 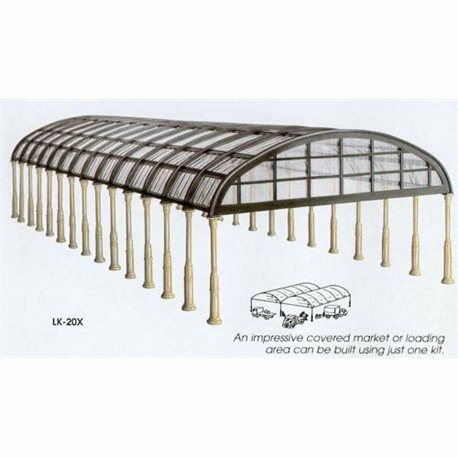 There are two lengths of columns mounted either on the platform or groung level. Other non-railway uses include a covered market, shopping precinct or a hotel entrance. you can even use it vertically to represent a modern glass office block. The kit contains sufficient parts to build a single span measuring 508mm (20in) long x 191mm (7½in) wide or, 254mm (10in) long x 382mm (15in) wide if formed into two spans side by side.